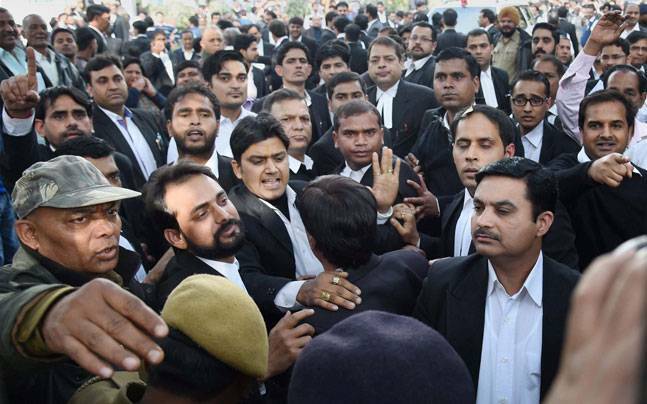 The Supreme Court of India Today agreed to hear a Petition filed by a Social Worker and Alumnus of Jawaharlal Nehru University (JNU) seeking immediate intervention of the Court in the Patiala House Court incident where several journalists and students were assaulted by lawyers and BJP workers yesterday. The matter was mentioned by Advocate Indira Jaising before the Chief Justice’s Court and the Court agreed to hear the petition tomorrow. According to the Petitioner Mr. N.D.Jayaprakash the immediate cause for the filing of the petition is the physical violence and intimidation faced by the Petitioner and a large number of students, teachers and journalists while attending the judicial proceedings before the Court of Sh. Loveleen, Metropolitan Magistrate court complex in the presence of Delhi Police. 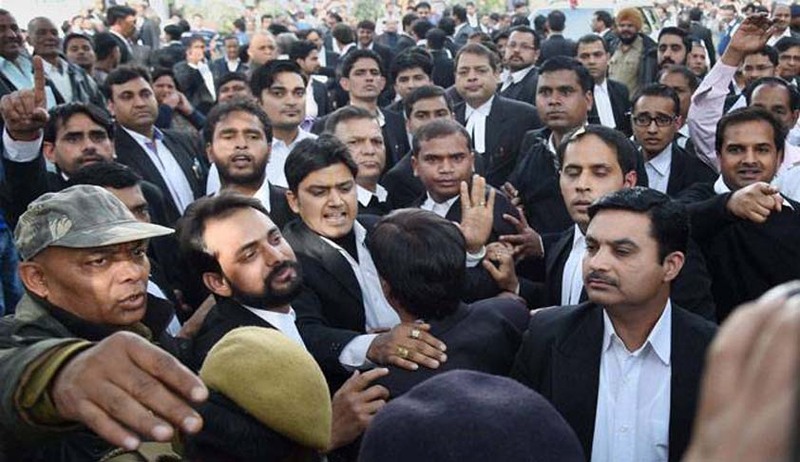 It is alleged that during the aforesaid proceedings, the petitioner and other students and professors of JNU were physically assaulted by a group of lawyers. The Petitioner believes the manner in which physical harassment of the Petitioner, women journalists and others, was allowed to take place, was in clear violation of the fundamental right to access to the justice system. The incident happened when on February 15, 2016 when he came to see the proceedings relating to the custodial detention of JNUSU President Kanhaiya Kumar. According to the Petitioner, for that incident of 15.02.2016 in the Patiala house courts raise serious threat to the life of the accused. The atmosphere was so surcharged that even the women journalists were not spared and were not permitted to discharge their journalistic duties and be able to report the events as witnessed by them directly. In the Petition he prayed the court to take appropriate measures to ensure that the proceedings against Kanhaiya Kumar at the Court of the Metropolitan Magistrate Loveleen, is carried out in a manner which is not prejudicial to the fundamental rights of the persons, such as the Petitioner, attending the proceedings and to ensure that proper and appropriate action is taken against persons who are obstructing the proceedings against Kanhaiya Kumar before Court of the Metropolitan Magistrate Loveleen in any manner.